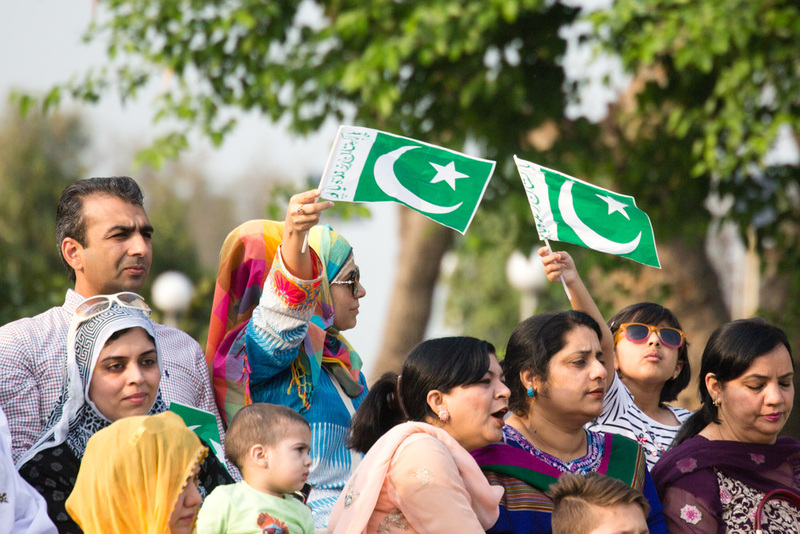 Today we are at the Pakistan-India border to watch the closing ceremony. 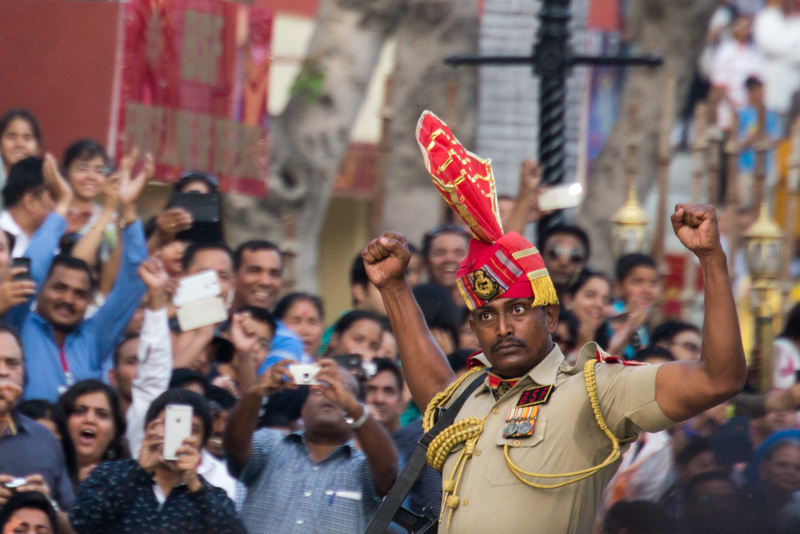 Until 1999 the Wagah border was the only crossing between the two countries . I remember first seeing this in a documentary with Michael Palin many years ago and was thrilled to finally get the chance to see it for myself. Starting from Lahore we are driven to the border. Driving in Pakistan is not for the meek and we are glad to have someone doing it for us. As we approach the border we join a steadily thickening stream of cars, tuktuks, bikes and people coming to watch the spectacle. Eventually we reach as far as our car is allowed and continue the last kilometer or so on foot. Security is heavy, there was a terrorist attack here last year and no one wants a repeat. We are ushered to our seats, as foreigners we are accorded prime position near the centre and are not separated. 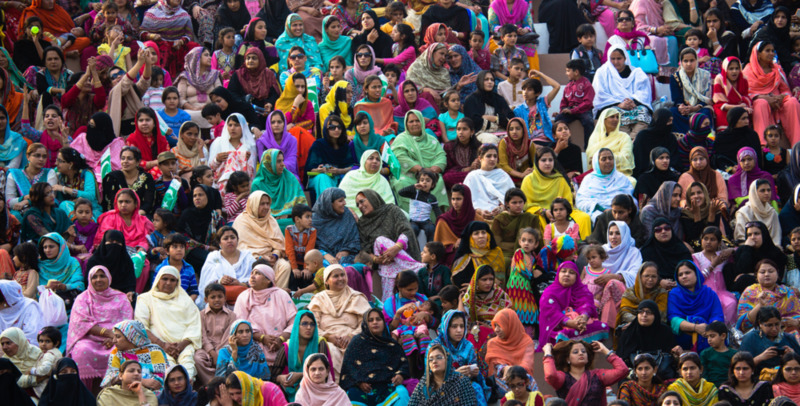 The stands around us are divided into men and women, the latter being incredibly colourful, the former being incredibly loud. As the anticipation grows, the crowd starts getting warmed up, it sounds similar to a football game with a Pakistani twist. During the brief lulls similar excitement can be heard just across the border in India. The soldiers convey purpose and surprising speed with their well orchestrated movement. 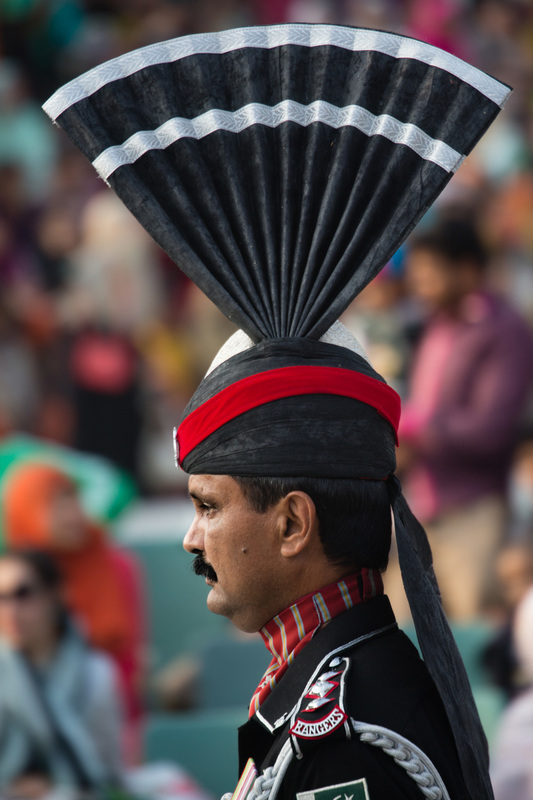 The Pakistani officer throws his hands out with thumbs downturned while we looks at the Indian border, but it turns out he's just righting his hat or putting his hands behind his back each time. No insult intended of course. The Indian soldiers seem less obvious with their taunts but we get a good view of their faces as they face the Pakistani side and stare us all down. 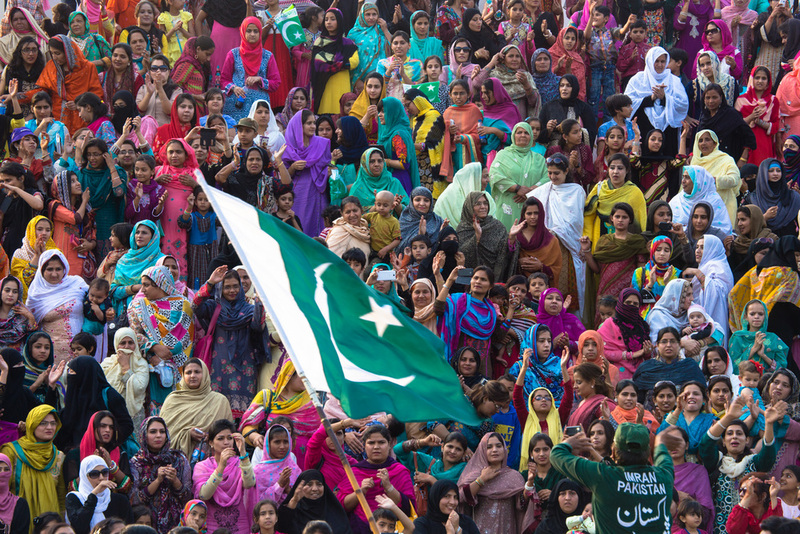 The Wagah Border closing ceremony, between Pakistan and India, from the Pakistani side of the border. The ceremony concludes when the flags have been lowered in unison and a brisk, awkward handshake so fast I missed it on camera! We hang back for photos with the guards who are thrilled to have their pictures taken with us and walk back to our car, back to the thick of the traffic of Lahore. A fantastic afternoon outing.